Co-Location Centers: Booming Amid the Economic Bust? eWeek has a glowing article about the booming market for IT co-location centers. eWeek has a glowing article about the booming market for IT co-location centers. It’s hard to argue with many of the anecdotes in the article — including a close look at ThePlanet.com, a company MSPmentor profiled earlier this month. Still, I worry when media sites predict certain IT segments will “boom” during the recession. I heard the same story when I visited former hosting giant Exodus Communications in 1999 or early 2000 — shortly before the dot-com bust. Anyone else remember how the Exodus story ended? Don’t worry about short-term net losses. Exodus is about top-line revenue growth and was becoming EBITDA (earnings before interest, taxes, depreciation and amortization) positive. Pushing net income into positive territory is a longer-term goal. Exodus was successfully diversifying beyond dot-com customers and gaining more and more enterprise customers. Exodus stock had split five times in only about 12 months, proving Wall Street believed in the company. Fact was, I hadn’t really experienced a deep recession before. Hancock may have believed what she was telling me but she wound up being dead-wrong about numerous items. And I didn’t see the warning signs of a business on the verge of collapse. Here’s the abridged version: Even enterprises cut their IT spending during the dot-com implosion. And soon enough, Wall Street returned to more traditional metrics (net income and earnings per share rather than EBITDA) to measure a company’s health. 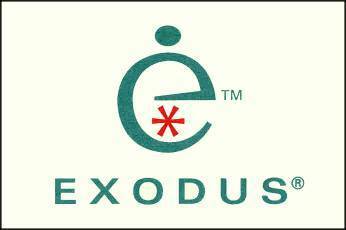 By September 2001, Exodus filed for Chapter 11 bankruptcy protection. I suspect numerous co-location and data center providers will enjoy strong growth in 2009. But for anyone who is predicting all co-location centers will boom in 2009, please read the history of Exodus Communications on Wikipedia. It’s a healthy reminder that not all markets live up to their hype.